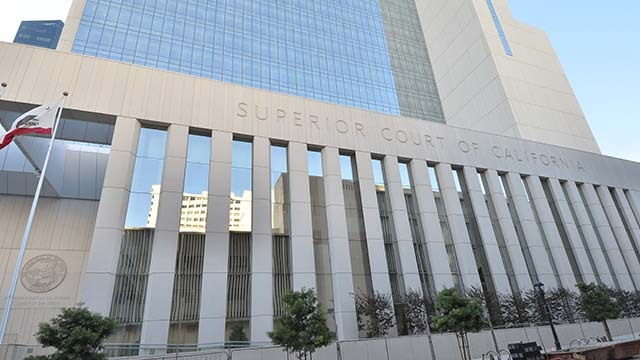 The new San Diego County Superior Court in downtown San Diego. Photo by Chris StoneAfter more than two decades of service, Judge Joan M. Lewis is retiring from the San Diego Superior Court bench, it was announced Thursday. Appointed by then-Gov. Pete Wilson in 1998, Lewis began her judicial career presiding in family court, and in 2003 until her retirement, presided over Superior Court Civil Independent Calendar cases. In September 2017, Lewis received the Witkin Award for excellence in the practice of law and advancing access to justice. Presiding Judge Peter Deddeh said that throughout her career, Judge Lewis handled a variety of challenging assignments. A native of New York, Judge Lewis earned degrees from State University of New York at Upstate Medical Center; Arizona State University, and eventually earning her law degree from California Western School of Law. Judge Lewis’ last day is Friday. She said she plans to stay active in the legal community, providing private dispute resolution as a mediator and arbitrator.